We offers both one-part and two-part traffic loop sealants in a variety of packaging to fit your job. Whether you need hundreds of gallons of loop sealant for a large traffic signal project or just a single quart tube of loop sealant for a small loop at a parking gate. Our range includes traffic loop sealants and traffic detector loop sealants. 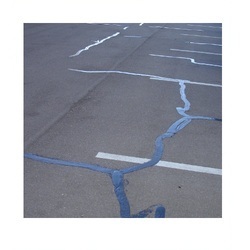 Traffic Detector Loop Sealant is a flexible two part epoxy system used as traffic detector loop sealant. It is a ready to use system and requires no heat or weighing scale and can be mixed and applied at the site It's flexible characteristic enables the wires to remain continuously protected against any failure in the loop system and does not become brittle with temperature extremes. The traffic loop sealant does not shrink with time and is self-filling and leveling compound which requires no smoothening operation after application. Note: Technical details and samples can be made available on request.